Mid-century style goes modern with these sapphire and Freshwater cultured pearl stud earrings. 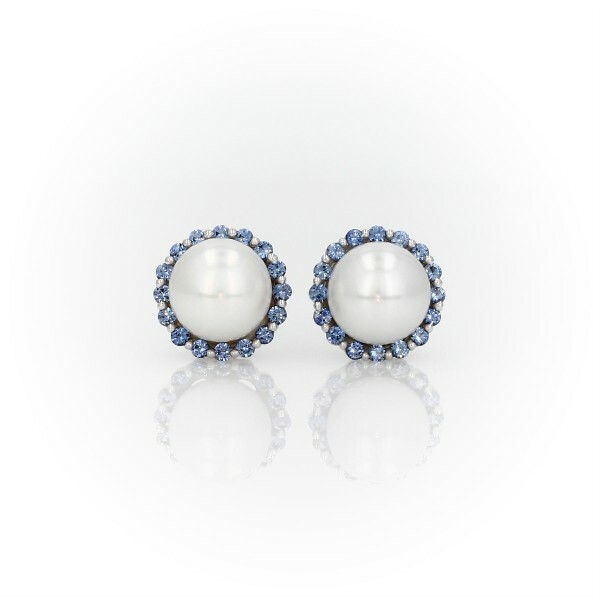 Two classic white pearls are surrounded by a bevy of petite blue sapphire gemstones creating an irresistibly chic look. A perfect "something blue" for that special day.